Michael Tabor, Bridlewood Farm, Mrs. John Magnier and Derrick Smith’s Moonshine Memories heads a field of 14 3-year-old fillies and two also-eligibles entered Wednesday for Saturday’s 20th running of the $250,000 Lexus Raven Run (G2). The 7-furlong main track test will go as the ninth race on Saturday’s 10-race program with a 5:30 p.m. ET post time. 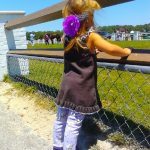 First post time Saturday is 1:05 p.m. Trained by Simon Callaghan, Moonshine Memories won her first three races as a 2-year-old, including the Del Mar Debutante (G1) and Chandelier (G1). The Lexus Raven Run represents her third trip east from her Southern California base. Moonshine Memories finished fourth in the Acorn (G1) at Belmont in June and in her most recent start was third in the Prioress (G2) at Saratoga on Sept. 2. Mike Smith has the mount and will break from post position nine. Shotgun Kowboy seeks his fourth career victory in the Oklahoma Classics. He started his career in the state-bred series with a win in the $100,000 Classics Juvenile in 2014. Only four horses have won four or more Oklahoma Classics races in its history. 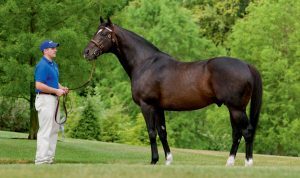 Highland Ice won five Classics races with Notable Okie, Okie Ride, and She’s All In each winning four. Tuff Kid is among those trying to spoil Shotgun Kowboy’s party Friday night. Tuff Kid raced second, beaten 5-1/4 by Shotgun Kowboy, in the Classics Cup last year. He was fourth in the 2016 edition of the race behind winner Phantom Trip, when Shotgun Kowboy skipped the event. I was one of the guys who got crushed by The Hammer, the best real-money tournament player in the country. 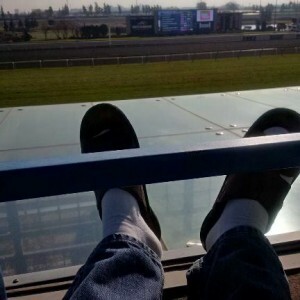 Tommy Massis of Toronto is not only the King of Keeneland Contests but also the one to fear most in any real-money tournament. On Sunday (10/14/18) in Lexington Kentucky, he placed a $1,000 win bet on 19-1 shot Bella Noire in Keeneland’s 4th race to claim another real-money victory at Keeneland. Tommy’s winning total of $20,800 bested 2nd place finisher Blake Jessee by nearly $8,000. Tommy loves Keeneland, with good reason. He won the Breeders’ Cup Betting Championship (BCBC) at Keeneland in 2015, and this is his second win in a big Keeneland live money contest. 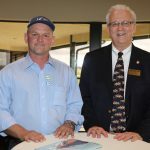 For his most recent victory, in addition to his final bankroll, he takes home $30,000, a fully paid $10,000 berth in the BCBC at Churchill Downs, and a fully paid entry plus expenses into the 2019 National Horseplayers Championship (NHC) in Las Vegas. The $3,000 buy-in tournament drew 167 entries and awarded BCBC and NHC spots to the top five finishers, NHC spots to places 6 through 8, and prize money to 15th place. Months after this interview, The Hammer turned around and won the 2015 Breeders’ Cup Betting Championship (BCBC) by absolutely crushing the exacta in the Breeders’ Cup Turf. A couple weeks later he won the Del Mar real-money tournament, taking down another grand prize and leaving his competition in the dust. It was truly the year of The Hammer, and this past weekend proved that he is still pounding his competition, and making some men (like myself) look like boys. Great job Tommy! Did You Miss This Gem? Continuing a long tradition of support for the National Horseplayers Championship and the Breeders’ Cup Betting Challenge, Keeneland is proud to announce the dates of two big handicapping tournaments during the 2018 Fall Race Meet. On Saturday, October 13, we will conduct a live bankroll tournament, the Keeneland $400 Fall Challenge, a $400 buy-in with a live bankroll of $250 and $150 prize fund fee. 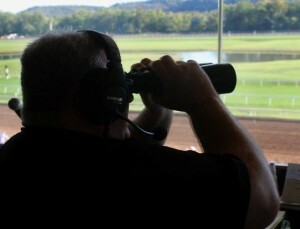 Players will be able to wager any amount on any race at Keeneland, with no minimum wagers or minimum number of races. This tournament may be played from anywhere on the track; all tickets and admissions must be handled separately by the player. Please see rules here. Based on an estimated 250 entries, one BCBC and four NHC spots will be awarded. On Sunday, October 14, the prestigious BCBC-NHC Challenge returns, with a $3,000 buy-in and as many as 6 spots in the BCBC and 10 in the NHC up for grabs. This tournament will be held in the Lexington/Kentucky Room with the best seats in the house. This year we have use of the entire room, so your guest may sit with you, and the dress code has been relaxed to business casual; no more ties required! Please see rules here. Entries became available online on August 13, 2018, and players registering for the BCBC-NHC Challenge may also enter the Saturday tournament with one process. We hope that the Saturday tournament will complement the BCBC-NHC Challenge, and that many players will take advantage of the scheduling to compete in both tournaments and have a great Keeneland weekend. Keeneland closed its 2018 Spring Meet on Friday with near-record all-sources wagering on Keeneland of more than $157 million, highlighted by an all-time single-day handle record on Toyota Blue Grass Day and driven by full fields of quality horses and competition among the nation’s top owners, trainers and jockeys. 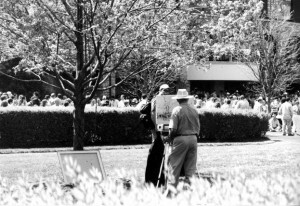 All-sources wagering on Keeneland racing totaled $157,172,604 for the 16-day Spring Meet, held April 6-27, ranking just behind the record of $158,640,591 set during the 16-day 2013 Spring Meet, and a 14.39 percent increase from the $137,399,556 recorded during last year’s 15-day Spring Meet. Average daily all-sources wagering of $9,823,288 rose 7.24 percent from $9,159,970 in 2017. Keeneland set wagering records for all-sources handle and Pick 4 and Pick 5 pools on Toyota Blue Grass Day, April 7. Total all-sources handle was $22,634,861, eclipsing the previous record of $21,736,983 set April 9, 2016. Wagering on the All-Stakes Pick Four ending in the Toyota Blue Grass (G2) totaled $1,065,002 versus the previous record of $733,800 set April 8, 2017. The All-Stakes Pick Five handled $899,196, smashing the previous record of $653,827 from April 20, 2013. A rollback from the takeout increase in the fall of 2017 was favorably received by horseplayers as evidenced by the substantial increase in all-sources handle. 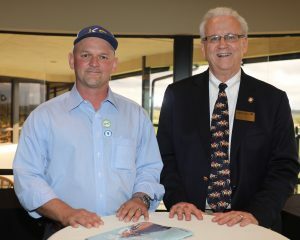 Keeneland offered an early Pick 5 wager with a 15 percent takeout for the first time this meet on the first five races of each race day, and it was an unqualified success. Total handle for the wager over 16 days totaled $4,104,850, an average of $256,553 per day. On-track attendance and wagering were just shy of last year’s Spring Meet totals despite inclement weather for the meet’s opening two weekends. Total attendance of 250,475 was nearly even with last spring’s 252,247. Average daily attendance of 15,655 was just short of the 16,816 in 2017. A record crowd of 28,307 basked in the sun on Maker’s Mark Day, Friday, April 13, to surpass the previous Friday attendance mark of 24,734 established April 2, 2010. On Saturday, April 21, 37,378 fans, the fifth-highest single-day attendance in Keeneland history, celebrated the season with an afternoon of racing. On-track wagering this spring was $17,457,750 compared to $17,668,979 last spring. Average daily on-track handle was $1,091,109 versus $1,177,932 in 2017.